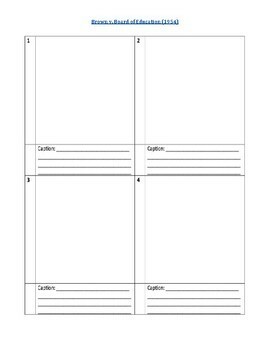 This activity provides students with a brief introduction of the Supreme Court case, which reversed the precedent of "separate but equal" in the United States. 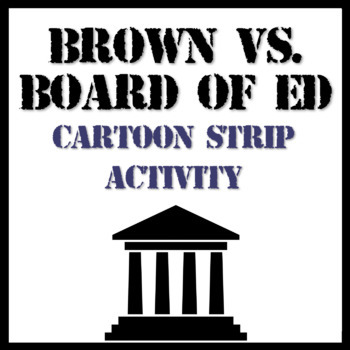 Students read the information and then use the panels to create a cartoon strip depicting the background and impact of the Brown v. Board of Education case. Students may be as creative as possible if they do not want to draw people...cats and dogs, red fish and blue fish, etc. Students should be able to illustrate the impact of the decision upon the Equal Protection Clause of the 14th Amendment to the U.S. Constitution. 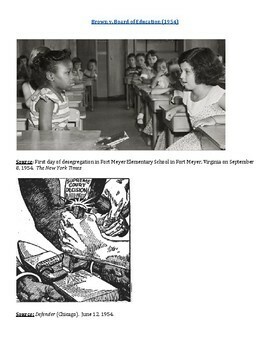 This product makes a great continuation to the Plessy v. Ferguson activity, which is also available on my page.